Huge Healing Power of Lemons…. 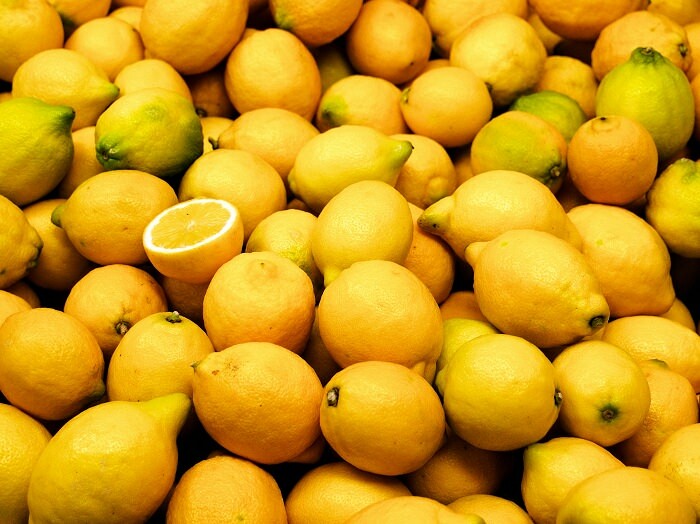 Lemons are some of the most common citrus fruits in the world, and most of us use them almost every single day. But how much do we really know about lemons? Are we fully aware of just how beneficial they are for us, and how many other ways there are to use them, besides eating? After reading these 15 facts and uses, you will definitely try to eat more lemons and use them in more creative ways. If you are the kind of person who never liked lemons, despite their rich taste, high vitamin C, antioxidants, B-vitamins, calcium and more, this just might be the thing to change your mind! The stress of modern life, junk food, pollution, lack of exercise and other toxins we accumulate can throw our body off balance. Although lemons are very acidic, their nutrient content is alkaline-forming and thus helps make our body more resistant to a number of health problems. 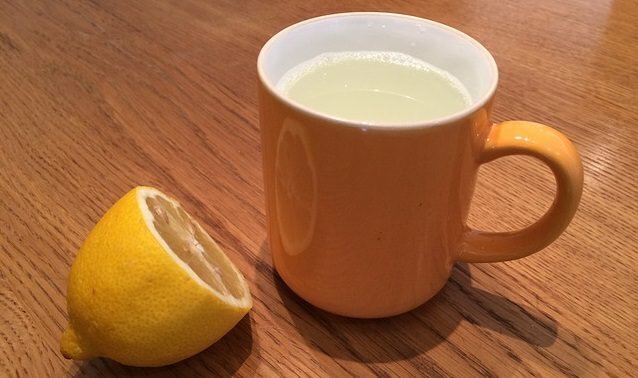 A cup of warm water with some lemon squeezed in will help you start your day in a healthy way. Lemons are powerfully antibacterial and as such they destroy bad bacteria in your body and allow good bacteria to flourish. The good bacteria help with problems such as indigestion and constipation. A glass of water mixed with the juice of one lemon, or any other means of combining lemons with a large meal, will help stimulate peristalsis and the production of stomach acids that will aid the digestion process. When you’re on a diet, a lemon can be your best friend for a number a reasons. First, it contains Pectin, a fiber that can help you feel fuller and eat less. Thanks to this, a glass of lemon tea before a meal can help prevent overeating. Second, lemon juice happens to be a natural diuretic. This means it helps the body get rid of excess water it doesn’t need through increased urination, this will make you feel less heavy and puffy. Parasites and intestinal worms are very hard to get rid of, but there is a key element to getting rid of them that lemons contain. Parasites love acidic environments and drinking lemon juice or eating lemons will make your digestive system a more balanced environment, one that is hostile to parasites. If you have bad breath or canker sores, a lemon might be an easy, cheap and simple way to deal with them. Apply fresh lemon juice to the area or gargle just like any other oral care aid. If you have bleeding gums, you can massage freshly squeezed lemon juice to the problematic area and deal with the bacteria causing all the pain directly. The vitamin C in lemons has a beneficial effect on your skin as well as your body. Many skin care products are high on vitamin C because it stimulates cell renewal by gently exfoliating your skin. By using a slice of lemon as a facial scrub, you will remove stubborn dirt and dead skin from your face and reveal the fresh, clean and healthy layer underneath. Herbalists and naturopaths claim that the sourness of lemons signals the body to activate the liver and kidneys, and that the antioxidants in the lemon help enhance kidney and liver function. This enables them to better detoxify themselves and the rest of the body. As previously mentioned, lemons are also a mild diuretic, so they encourage your body to release stored, unused water along with the accumulated waste products flushed out by your liver. The Pectin in lemons can help lower cholesterol that causes high blood pressure. Flavonoids, as well as vitamin P, also serve to strengthen the blood vessels themselves and lower the risk of them being damaged by high blood pressure. A simple way to treat dandruff by yourseves is to make a hair mask using lemon juice and other natural ingredients like coconut oil. Use this mask to moisturize your dry scalp, but don’t use it for too long or too often as lemon juice can also lighten your hair color. The solution for rough and scaly feet might be right inside your kitchen. The citric acid along with the vitamin C in lemons can take off dead skin, enhance skin renewal, and brighten dark skin areas. Simply soak your feet in some hot water mixed with the juice of 2-3 lemons, 2 tablespoons of olive oil and ¼ cup of milk for about 20 minutes. Your feet will not only be softer than ever but will also smell much better! Lemon tea and lemon juice have long been used as homemade remedies to help lower fever. A cup of lemon tea with honey every few hours should help subside any chill or fever you might have. Of course, if the fever persists – go see a doctor. Lemons aren’t just used to repair damaged skin, the high levels of vitamin C found in lemons are used by your body to make collagen and elastin. Both are tissues responsible for giving your skin a glowing and youthful appearance. 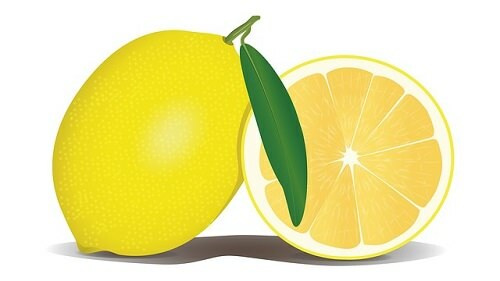 Simply start eating more lemons, or apply lemon juice to your skin, and after a short while you will see the effect. The oils found in lemons create an aroma that relaxes blood vessels and reduces inflammation, both key factors in pain relief. If you suffer from sore joints or other inflammatory diseases, drink a glass of lemon water every day and it could help ease your symptoms. Lemon extract can even help alleviate pain caused by sunburn if applied to the skin with water and gently rubbed on the painful area. Lemons have the ability to strengthen blood vessels, and so can be used to reduce the appearance of varicose veins, making your legs look younger and healthier. Add a few drops of lemon essential oil to a moisturizing oil of your choosing (like jojoba or avocado oil) and rub the mixture on the affected area. Doing so on a regular basis will slowly make the veins disappear from the top of your skin.